At the moment are Continental WinterContact TS 830 P winter tires in size 225/45 R17. 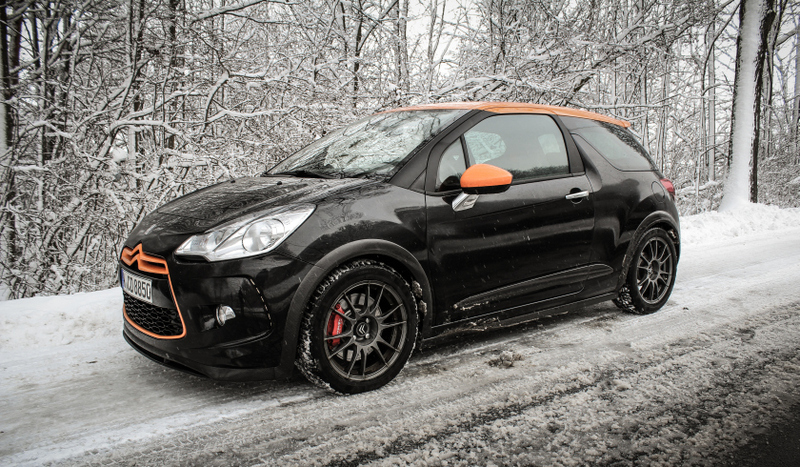 Whether it’s the brand new tire (the little Frenchman has only 5,000 km on the clock) I do not know, but the relatively light DS3 Racing is also quite wonderful on and in (deep) snow. 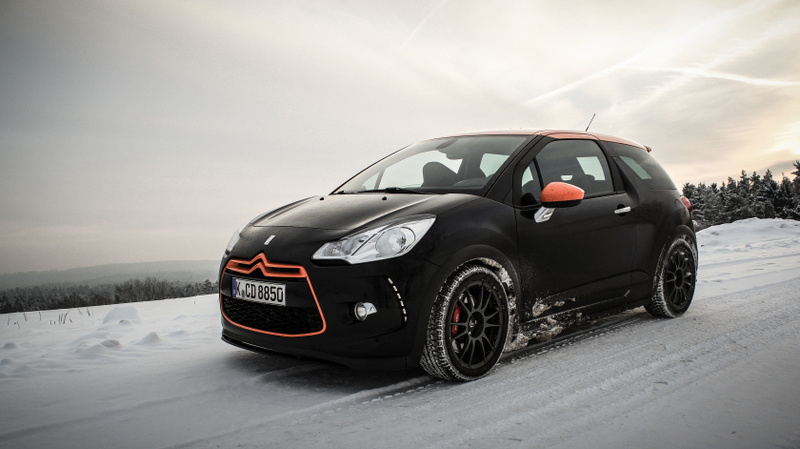 If this is frozen, you have to take care of the sporty low-profile front apron just when parking. Otherwise, I hope for better weather on the weekend for a few photos without salt and a few curvy rides. So far, the DS3 but a lot of fun, the 207 hp are really well packed, in terms of interior, I would not have presented it to me also so pleasant and cool.